Self Store Budapest offers you the opportunity for a clean, safe and dry place to store your goods, and at the same time optimize your living space. In this way you save time and money renting one of our storage rooms. Rentable units are available in any size from 1 to 50 square meters. The duration of the rental can be as short as just two weeks, or as long as years. So you only have to pay for your needs and not more. 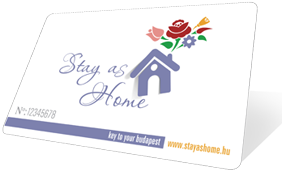 We highly recommend Self Store Budapest when you are moving or renewing your apartment, when buying new goods but there is no place for the old ones, or if you are a foreign student in Budapest and you do not have enough space. What’s more, Self Store offers its own moving service. With this supplementary service you can save time and save all the nuisance that is related to moving all your stuff from your flat to the Self Store unit and out of your unit when you finish the rental. Self Store Budapest offers its moving service at a very affordable price.